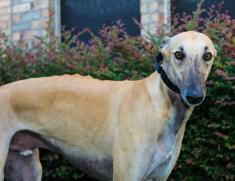 History: According to Greyhound-Data, Manner had 22 races at Gulf Greyhound Park and retired in July, 2011. He has been on the farm for the last year, with most of his time spent lounging in the house. 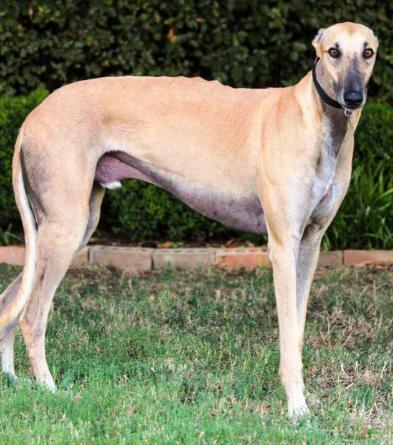 This big fawn fellow is a very special boy, according to his prior owner. Manner is a litter-mate of Sneaky Sneaks (now TAGS’ Sasha). 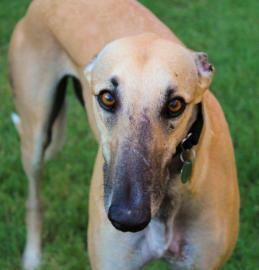 We’ll learn more about Manner as he settles into his new environment. 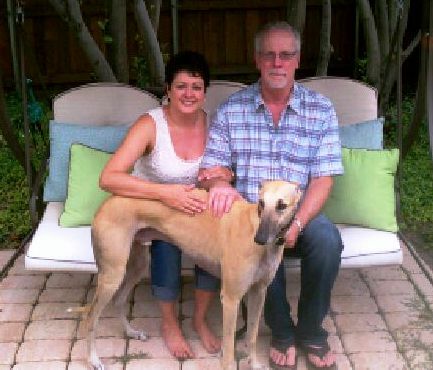 Manner (now Max, short for Maximilian) with his new family, Lewis and Hope. 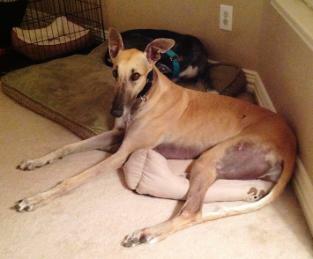 Foster sister, Pistol has the big dog bed, so Manner decided to lay on the little Iggy dog bed. 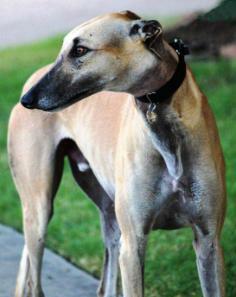 August 26, 2012 update: Manner (now Max, short for Maximilian) was adopted to his lifetime home. 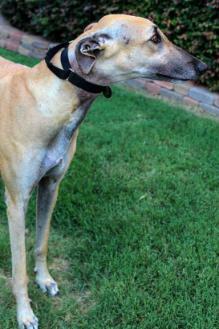 August 3, 2012 update: Manner starting a new life of retirement by coming to TAGS to find his lifetime home.